My roommate and I decided that the best way we could spend our winter break was to commit to a program that would be sending us over 1,000 miles away from home for a month. Without much resistance, my roommate and I signed up to travel abroad two days after the spring semester would end. And to top it off, we were going to be spending over a day traveling to reach our destination—Beijing, China. The requirements to be a participant in the World Explorers program is to be fluent in English, to teach Conversational English with the host family for 15 hours a week, and to have fun. The last part is the most important. Getting to know the culture and meeting new people are what will stick with most people. Living with a host family will be a life changing experience that will change how people view the world. Suddenly, the world isn’t as large as it once was. After the first week with my host family, I noticed that my English lessons were going to be far more interesting than I had imagined. 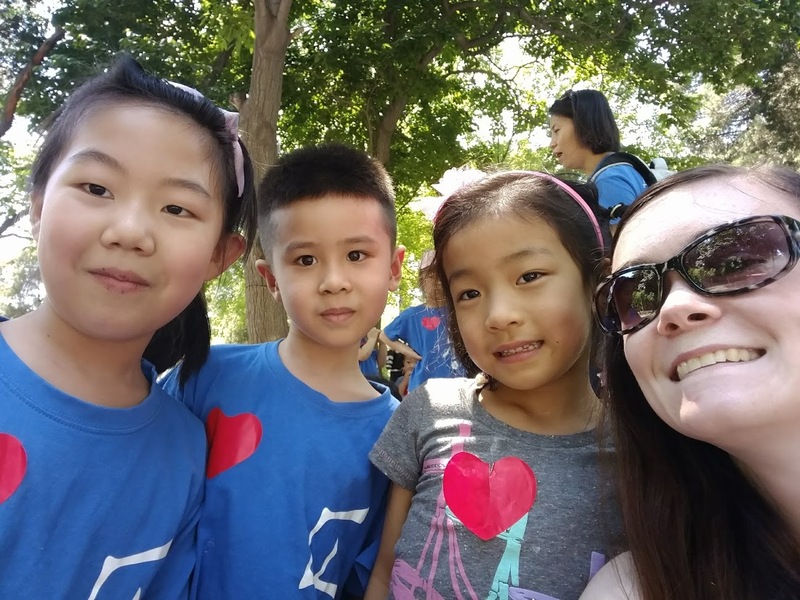 Every lesson involved exploring the neighborhood—Fengtai District, southwest Beijing—while playing and practicing our English with nearly every person we saw. 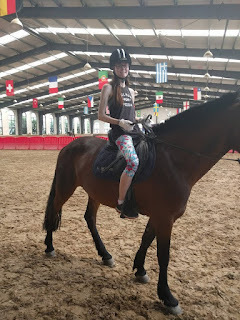 Through the many conversations my host sister and I had, we learned that we were a great team that effectively helped others with their English. We both concluded that we weren’t that different from each other and that we would be lifelong friends (sisters). All participants who wish to become a World Explorer should apply at least three months before arriving in one of the 25 countries. Once the initial application process is finished, all participants are interviewed by a professional staff member at CHI. The interview assists participants in understand the requirements of the World Explorers program and what to expect once they’re in a new and exciting country. CHI staff is available for anyone who needs assistance in purchasing travel and medical insurance. On another cold, blustery winter day in January, my roommate and I signed up for an opportunity of a lifetime. Since we applied for the World Explorers program together, we were given a discount. As new travelers, we both sought to be as ready as possible and applied for our trip to China exactly four months before we arrived. This gave us ample time to apply for our visa, purchase plane tickets, and meet our host families through WeChat, purchase travel and medical insurance, and ask as many questions as possible so we would be as ready as we could be when we arrived. CHI immediately starts the process of finding host families for participants once the interview process finishes. This takes time. Some locations offer the opportunity to pick the city a participants would like to be placed. Be aware of the advantages and disadvantages of picking a city outside the normal location. Some participants may have an option between several host families. If this is an option, read over the host family’s information carefully and notice what the family’s hobbies are. 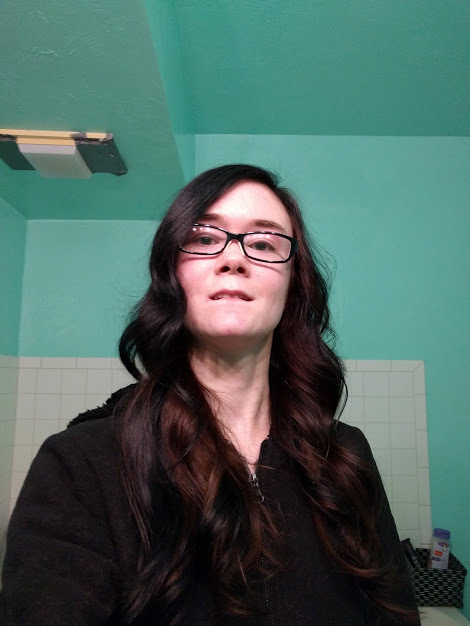 Match interests, hobbies, and sports to make the most out of the experience. I was on edge all February as I waited to see who my host family was. As I impatiently checked my email every day, twice, I slowly watched the snowy landscape disappear. Spring was on the way for Wisconsin. Or I thought. In the earliest part of the morning in the first week of March, I was emailed with two separate host families. The decision wasn’t easy, but as school was cancelled because of the impending snow apocalypse, I picked a host family familiar with Americans. The snow apocalypse didn’t come in March as expected but on the third week of April with an inch of ice and 26-30 inches of snow on top. The World Explorers program is offered in over 20 countries with options to stay in one of the countries for 1 to 3 months. Recently, there are opportunities for World Explorers to take a GAPYear where participants can stay in different countries for 3 months each (twelve months total). The World Explorers Program is available year-round. The World Explorers program is great for anyone traveling on a budget. Some of the 20 countries in the World Explorers program cost less than $10 a day. Silently, I contemplated my options. I didn’t have much to do otherwise, the doors to the dorms were snowed shut and the RA’s warned all students to stay indoors until after the snowplow and workers made the entrance and exit accessible. My original idea was the stay in China for three months, but since my roommate and I had never left the U.S. before, we opted for a 1 month stay. It wasn’t until after I was about to return home in late June that I wished I had decided on the 3 month stay. CHI has made the World Explorers program even more accessible for potential and return participants. In 2019, all participants save 10% on the already affordable prices on the program. Make sure to let CHI know that you heard about this program from Heather and enter in the discount code: WETRAVEL19. As an added bonus, all alumni of the World Explorers program will receive a 20% discount on the next World Explorer program they take part in. The point system is available for all locations with some countries only needing 3 or 4 points to earn a free trip. If you wish to learn more about any of these amazing offers, contact CHINET.ORG/WE. If it wasn’t for all the amazing support from Heidi, the World Explorers Manager, I wouldn’t have been able to have such an amazing time while in the program. 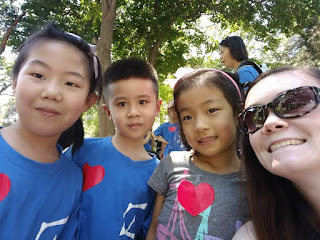 My experience in China made such a positive impact in my life that I plan on returning this summer and every summer after to see my host family. Thank you! The World Explorers program is an opportunity for travelers to experience more than a new culture. 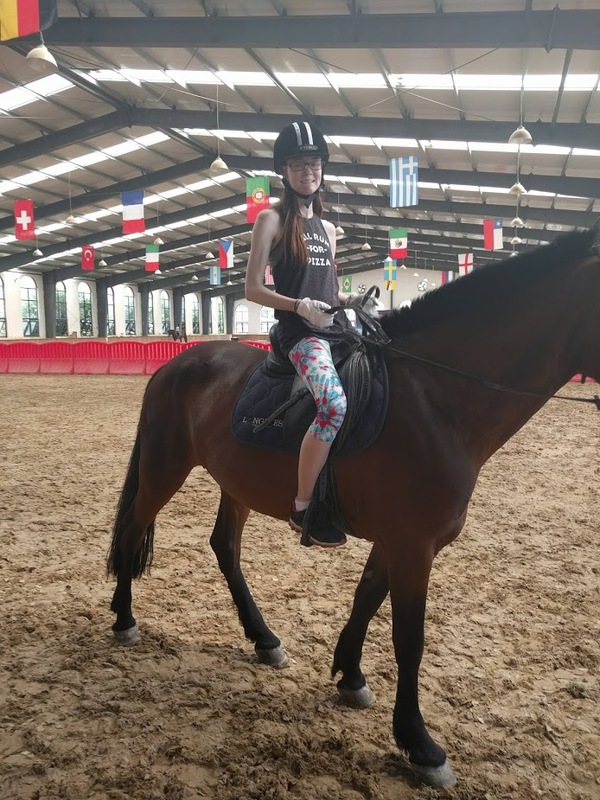 Each of the 20+ countries offer life-changing experiences where participants eat local cuisine, learn a new language, can earn college credits, and volunteer in local schools. For anyone interested in ESL or tutoring English, the World Explorers program is a great place to start. Since freshman year of high school, I was always dreaming about traveling to faraway places hoping for a change in scenery and to learn a new language. My dream came true 8 years later as I arrived in Beijing, China. With my experience in the public school systems in Wisconsin, academic tutoring background since high school, and my passion to work with children, I fit well into the World Explorers program. I learned so much from my experience that I’ve been welcomed to take part in a non-profit that works with North Korean refugees. I know that my career will only continue to grow as I continue to experience new cultures. The reviews for the World Explorers program is outstanding. 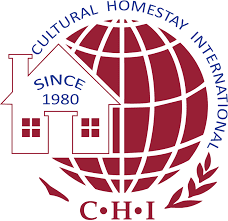 On GoAbroad.com Cultural Homestay International has a 9.3 out of 10 stars. Visit GoAbroad.com to read the reviews from past participants of programs offered by CHI. There are many options available for people outside of the U.S. including participating in the World Explorers program and GAP Year. The application process was easy and I was in contact with someone from CHI right away. I give the World Explorers program a 10 out of 10 stars. Beijing was the best and my host family was very welcoming. I was able to experience many new things, like public transportation, and met new friends from other countries. The critical issue with Jason Richwine and Andrew Biggs solution is that their solution only briefly touches on what has caused teachers to leave the profession. Their solution disregards the struggle teachers have with school handbooks, job stability, and rights. Act 10 also reduced collective bargaining rights and has affected teacher health insurance, something that isn’t mentioned in Jason Richwine and Andrew Biggs solution. Basing a teacher’s income on their value may cause additional problems for teachers as the question of who would be making the decision on the teacher’s value. Christian D’Andrea’s solution goes into how Act 10 needs to be revised to fit the needs of teachers in the United States. D’Andrea’s solution is vague and only a suggestion that isn’t currently in process. Act 10 is a specific problem in Wisconsin, something that other states adopted and revised to meet the needs of the state. Changing Act 10 will not solve the entire shortage of teachers in the United States because every state has its own set of rules and regulations in place. Each state’s situation needs to be researched and addressed separately. 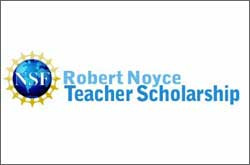 The Robert Noyce Scholars program is a tool that benefits potential teachers and teachers who have signed up with the program. The incentives of the program are some reasons teachers are staying in the profession. Teachers who commit to teach STEM and work in under-resourced schools can have their college loans forgiven. The Robert Noyce Scholars program may be the start to solving some of the issues the United States has with the teaching profession. Several states (North Carolina, California, and Oklahoma) have proposed solutions to the current teacher shortage. The states have a similar idea that increases teacher compensation. North Carolina and California have done the same thing in the 1990s, to keep and recruit new teachers in the public schools. In the 1990s, the programs also had loan forgiveness programs and scholarships to anyone interested in the profession but were later taken away because of political pressure. Oklahoma has a current proposal that will increase teacher compensation every year until the 2019-20 school year. So far, the Oklahoma proposal has been working. These solutions demonstrate that there are organizations, states, and people who are trying to help solve the teacher shortage in the United States. Though some of the solutions are only suggestions and others are in the works or have been taken away, people are noticing that there is a crisis happening in the education system. · Provide financial support to teachers who are willing to work in areas in the United States hardest hit by high attrition rates. · Take advantage of programs that are assisting teachers and keep the programs running. · Include opportunities for current teachers to earn more after so many years of service. · Include loan forgiveness programs and scholarships to help encourage potential teachers to continue with training and to teach in the public school system. These recommendations should be achieved by preparing states for the budgetary expenses each year and school administration working with teachers to help create a work environment that is inviting and willing to change when needed. Berry, B., & Shields, P. M. (2017). Solving the teacher shortage: revisiting the lessons we’ve learned. Phi Delta Kappan, 98(8), 8-18. D’Andrea, C. (2013). Limits of collective bargaining. Education Next, 13(4), 36-42. Ganchorre, A. R., & Tomanek, D. (2012). Commitment to teach in under-resourced schools: prospective science and mathematics teachers’ dispositions. Journal of Science Teacher Education, 23(1), 87-110. Gonzalez, L., Brown, M., & Slate, J. (2008). Teachers who left the teaching profession: a qualitative understanding. The Qualitative Report, 13(1), 1-11. Rose, M. (2015). School reform fails the test. American Scholar, 84(1), 18-30. Sawchuck, S. (2012). Many teachers not ready for the common core. Education Digest, 78(2), 16. Suh, R. (2015). Teacher burnout. Research Starters: Education (Online Edition). The results of this research indicate that there are doable solutions to help solve the current teacher shortage in the United States. The research findings are separated into three categories: (a) Collective Bargaining, (b) State Standardized Tests, and (c) Teacher Compensation. In the Backgrounder, published by the Heritage Foundation, an article “Critical Issues in Assessing Teacher Compensation,” notes that education is an asset to society and that teachers should be compensated for the value they create (Richwine & Biggs, 2012). Jason Richwine and Andrew Biggs, authors of “Critical Issues in Assessing Teacher Compensation,” state a possible solution to teacher compensation based on the value of the teacher. Teachers shouldn’t be controlled by a sub-par education plan or state budget plan (Act 10) that strips away a teacher’s ability to be compensated for the work they do. The teacher shortage will be unremitting until teachers are allowed their basic rights. Act 10 took away a teacher’s ability to fight for what is right (Swalwell et. al., 2017). Bringing back equal rights and benefits to teachers may help support the dwindling teacher population and may encourage potential teachers and teachers-in-training to continue in the profession. The teacher shortage would begin to heal itself. Act 10 will need to be revised and politicians will need to come together to find a logical solution that benefits both parties (teachers and the state). Christian D’Andrea (2013) mentions that Act 10 will be changed in the future. To what extent the changes will be are still unknown, but the proposed solution by Jason Richwine and Andrew Biggs (2012) could bring a remedy to the current teacher shortage in the United States. Since much of the American public schools are focusing on STEM education and pushing for better science and math state test scores, the National Science Foundation started several projects. One project that would benefit teachers is through the Robert Noyce Scholars program, which is available for teachers to help them get trained in STEM education. The program, as stated in “Commitment to Teach in Under-Resourced Schools: Prospective Science and Mathematics Teachers’ Dispositions,” is to assist teachers in understanding how to give lessons in science, technology, engineering, and mathematics to tie-in with Common Core and state standardized tests (Ganchorre & Tomanek, 2012). Athena Ganchorre and Debra Tomanek (2012) note that the Robert Noyce Scholars program is offered in teacher training programs around the United States and may help teachers get their students at the level the state wants them at with state standardized test scores. The program also provides loan forgiveness to teachers committed to teaching science and math in under-resourced schools. With the Robert Noyce Scholars program in place, teachers can have hope that the lessons learned in the program will better help them instruct their students for state standardized tests. The program is creating a future for the education profession in the United States. Many of the solutions in the 1990s would benefit teachers today. The best solution would be to pay teachers a comparable salary to others in the profession. North Carolina and California have been trying to strengthen the teaching profession by raising minimum salaries for teachers. The two states also offer loan forgiveness programs and scholarships to anyone interested in the teaching profession. The programs work and helped secure new teachers within the public schools but have been slowly taken away because of political and economic pressure (Berry & Shields, 2017). Oklahoma has had a proposal in the works since the 2015-16 school year that provides teachers within the state a $2,000 pay raise and two additional days of instruction. The teachers in Oklahoma will see an increase in their compensation until the 2019-20 school year with an average teacher salary reaching $49,677. The new teacher salary in the 2019-20 school year will be more than $5,300 over the state’s average teacher pay from 2012-13 school year (Oklahoma State Department, 2015). North Carolina, California, and Oklahoma have presented realistic solutions to the problem, but the first solution failed as politics got in the way. Governor Scott Walker’s Wisconsin Budget Repair Bill—Act 10—started the issues with teacher compensation and rights (D’Andrea, 2013). The proposal in Oklahoma may be the solution for the country if the proposal works. Until the 2019-20 school year, the result of the proposal in Oklahoma won’t be known, but so far, the proposal is working. The results of this research indicate that several primary issues need to be addressed in the United States to help solve the current teacher shortage. The research findings are separated into three categories: (a) The Residual Effects of Act 10 (Collective Bargaining), (b) The Calculated Risks of State Standardized Tests, and (c) The Failure of the State with Underpaid Teachers. The current teacher shortage in the United States shows the increased tension between teachers and the politicians that determine teacher compensation and school district funding (Swalwell et. al., 2017). The delicate balance between educators and the state crashed in early 2011 with the first attack against teachers. On February 14, 2011, Governor Scott Walker revealed his budget plan for Wisconsin that addressed the projected $3.6 billion deficit. Governor Scott Walker’s Wisconsin Budget Repair Bill—Act 10—cut collective bargaining for some public-sector employees which included teachers (D’Andrea, 2013). Act 10 was initially meant to be the solution to the issues Wisconsin had been dealing with for years. The result was $750 million being cut from public education and left school districts with no way to find additional funding to replenish what was lost. Swalwell (2017) notes that “the reduction in state aid coupled with Act 10’s limitation on unions’ rights created a perverse cannibalization effect whereby districts were incentivized to use teachers’ health care funds to compensate for cuts in per-pupil state aid” (p. 487). The struggle for teacher rights had started. Following in the footsteps of Wisconsin, Indiana created a version of the Wisconsin Budget Repair Bill in the form of “right-to-work” laws that affected unions. The backlash in Wisconsin started protests, especially in Madison, that later initiated a domino effect around the United States (D’Andrea, 2013). Under Act 10, teachers are held to strict rules within school district handbooks. Termination of employment can happen at any time with or without cause, prompting a new risk to current teachers and teachers-in-training (Swalwell et. al., 2017). Because of Act 10, teachers have little right to challenge the specific wording of the handbooks or to fight for better professional courtesy among peers and administration. Politicians have such small insight on how Act 10 is affecting current teachers within the United States that the teacher shortage has continued to become an increasing problem (Swalwell et. al., 2017). Within “In the Aftermath of Act 10: The Changed State of Teaching in a Changed State,” Katy Swalwell (2017), one of the contributors to the Peabody Journal of Education, notes that Act 10 cut more than teacher compensation and health care benefits. Teachers now deal with increased workloads and longer work days. Swalwell (2017) states that many of the changes caused by Act 10 made many teachers feel uncertain about their jobs and led to teachers leaving the industry. Reduced job stability and the dwindling rights and benefits for teachers are some of the biggest reasons the teacher shortage in the United States is so unpleasant (Swalwell et. al., 2017). Christian D’Andrea’s (2013) article notes that the new regulations cause increased employee contributions for potentially lower health insurance and pension costs. D’Andrea (2013) states that some school districts didn’t have a favorable view on Governor Scott Walker’s Wisconsin Budget Repair Bill—Act 10—, especially in Milwaukee. Milwaukee has every reason to have concerns about Act 10. Milwaukee schools have some of the worst reputations and lowest state test scores within Wisconsin (D’Andrea, 2013). The reduction of state aid has left Milwaukee school districts without the much-needed money and resources to fund the fracturing school system. D’Andrea (2013) states that Milwaukee will struggle as state aid continues to be reduced and “a loss of $82 million in federal stimulus aid” is taken away from the district (p.40). Every school year states require schools to set aside certain times a year to test students in academic subjects like math, English, and science. Teachers are required to teach the subject matter within the state standardized tests (Berry & Shields, 2017). This leaves a small window for teaching other materials and giving the teachers enough time to teach everything required by Common Core (Richwine & Biggs, 2012). Jason Richwine and Andrew Biggs (2012) note that the state standardized tests are an unfair way to measure a teacher’s value. Since George W. Bush’s No Child Left Behind Act of 2001, state standardized tests have become the source to determine if a teacher is meeting state expectations. Student scores control teachers, making them accountable for any students’ poor academic performance (Rose, 2015). The Obama Administration added to the problem with a competitive grant program that tied teachers to student test scores to receive federal funds caused by the Race to the Top initiative (Rose, 2015). Mike Rose (2015), a research professor at the Graduate School of Education and Information Studies at UCLA, wrote the article, “School Reform Fails the Test,” expressing his doubt on the current ties teachers are held to with student scores. In a report in the Backgrounder, “Critical Issues in Assessing Teacher Compensation,” Richwine and Biggs (2012) note that teachers who are measured by student test scores suffer from some of the highest attrition rates in the United States. The report also states that teachers who have students who perform under the recommended average rate tolerate the worst of the pressure in the education system. Rose (2015) mentions that “when the standardized test score is the measure of a teacher’s effectiveness, other indicators of competence are discounted” (p.24). A teacher’s ability is not only shown in student state test scores but in what the teacher can teach students that will be beneficial to them in the future. A considerable concern in today’s education is that students are losing nearly six weeks of learning so they can take state standardized tests (Suh, 2015). This leaves less time for learning and additional work for teachers to find time to teach. Figure 1 indicates how teachers feel about state standardized tests. There is only so much a test can cover. What about other skills that aren’t covered in math, English, and science tests? State standardized tests leave out important organizational and interpersonal skills students need. Teachers are the ones that can teach this to students (Richwine & Biggs, 2012). Students also suffer from being graded on state tests. Students shouldn’t be considered successful from states tests alone. Other intellectual knowledge needs to be learned outside of a test and can be taught in a classroom (Rose, 2015). State standardized tests leave teachers with less ambition to think creatively when teaching and have forced teachers to stick to a singular curriculum (Sawchuck, 2012). Teachers are at risk of reduced compensation if student test scores are lower than state standards (Suh, 2015). The United States was in a similar teacher shortage situation in the 1990s with teacher compensation cuts. Today, with the compensation cuts, teachers also deal with declining work conditions and an increased workload. According to the National Commission on Teaching and America’s Future, “Until states improve teacher working conditions, the public school systems will continue to struggle to keep and hire new teachers” (Gonzalez, Brown, & Slate, 2008, p. 2). In a study, conducted by Liza Gonzalez and Michelle Stallone Brown at the Texas A&M University and John R. Slate (2008) at the Sam Houston State University, many past teachers believe that teacher salaries are too low compared to the hours put in for prep-work. One of the participants of the study mentions that her salary was so low that she only made .36 cents an hour. Coupled with declining working conditions, some of the past teachers questioned if they should’ve left the profession sooner (Richwine & Biggs, 2012). In Oklahoma, teachers are dealing with similar conditions. The compensation teachers make in Oklahoma has led to schools being understaffed and student academic scores suffering (Oklahoma State Department, 2015). Around the United States, teachers are leaving the profession because they feel as if they’ve been worked to the point of exhaustion and are not being compensated at a level appropriate for the workload (Rose, 2015). In addition, teachers are required to plan when they are going to be absent, something that isn’t required in other professions (Berry & Shields, 2017). STEM education is suffering from the lack of teachers with current teacher compensation (Ganchorre & Tomanek, 2012). In a study published in the Backgrounder, “Critical Issues in Assessing Teacher Compensation,” an important issue was addressed on how much time teachers work outside of school (Richwine & Biggs, 2012). It states that a common misconception is that teachers are only working in school hours; some teachers are working 50 plus hours a week when working at home, on holidays, and weekends. Some teachers in the study state that they have always worked more than 40 hours a week while other teachers state they work less than 40 hours a week. The stark contrast between the hours' teachers work should signify that some teachers may need to be compensated at a different level. A big complaint from teachers is that the extra duties that are required after school are not paid. Some of the duties include lunch duty, bus duty, and after school duty (Richwine & Biggs, 2012). Another side note from a study published in “Teachers Who Left the Teaching Profession: A Qualitative Understanding,” is that some teachers note that administrators are inconsistent with rules and regulations. Some administrators are accused of favoritism among teachers, employees, staff, students, and parents. Teachers who bring up the topic on compensation have been sometimes ignored and so the teacher shortage is understandable in certain states (Ganchorre & Tomanek, 2012). Teachers also state that they buy classroom materials out of their pockets for students every year (Richwine & Biggs, 2012). · What current issues teachers deal with since the start of Act 10 and the reduction of collective bargaining rights? How does Act 10 affect school district handbooks, job stability, and teacher rights? · What side effects have come from the over usage of state standardized tests and how No Child Left Behind and the Race to the Top initiative links teacher quality to student test scores? How much and what kind of academic pressure affects teachers because of standardized tests? · Why is teacher compensation causing teachers to leave the profession? The current teacher shortage in the United States is nothing new. The 1990s saw a similar shortage of teachers and effects. The 1990s saw a decrease in teacher compensation and overcrowding of school classrooms making teachers feel underpaid and overwhelmed (Berry & Shields, 2017). Several issues have arisen in the last few years, especially since 2011 when Governor Scott Walker revealed his budget plan for Wisconsin in the form of Act 10, an attack that later increased the number of teachers leaving the profession (D’Andrea, 2013). Teachers are dealing with changes in the profession without much support from the government and administration. Today, teachers are dealing with the effects of decreased collective bargaining rights, the stress caused by state standardized tests, and a decrease in teacher compensation with an increased workload. No Child Left Behind and the Race to the Top initiative has further increased stress levels of teachers by tying the quality of a teacher to student test scores (Rose, 2015). Students in public school now have nearly six weeks of standardized tests each year (Rizga, 2015 & Suh, 2015). A study in the Peabody Journal of Education goes into detail about the real risks of Act 10 and the residual effects that are being seen today in the current teacher population. With teacher rights and job stability decreasing, teachers are becoming uncertain about their jobs and the teaching profession (Swalwell, Schweber, Sinclair, Gallagher, & Schirmer, 2017). A separate study published in the Backgrounder goes into detail about the war on teacher compensation. Because of the reduction in teacher compensation, teachers are leaving the profession and in response, students are suffering. Many times, student tests scores still fall below average and the teachers who instruct those students are affected by the students’ scores (Richwine & Biggs, 2012). With less potential teachers going through teacher preparation programs and teachers leaving the profession, the teacher shortage today has reached a breaking point. The purpose of this report is to provide an analysis of the effect of the shortage of teachers in the United States and to propose practical solutions that address the issues of collective bargaining, state standardized tests, and teacher compensation. This report includes information on the effects of Act 10 (collective bargaining), risks of state standardized tests, and teacher compensation, but doesn’t include information on why politicians continue to limit teacher rights, why state standardized tests are being increased, or how teacher compensation is currently interpreted. The purpose of this report is to address the current teacher shortage in the United States and to provide constructive solutions to the issues with collective bargaining, state standardized tests, and teacher compensation. Collective bargaining rights started to become a problem in Wisconsin in 2011 after Governor Scott Walker revealed his budget plan in the form of Act 10. Act 10 had many adverse effects on teachers, including the strict rules of school district handbooks, job stability, and rights. School district handbooks have switched and have put teachers at risk. The specific wording in the handbooks cannot be questioned and teachers receive little to no sympathy from the administration (Swalwell et. al., 2017). Act 10 has also led to teachers questioning their jobs and the industry. With increasing workloads and decreasing job stability, teachers are leaving the industry. Milwaukee was one of the hardest hit when Act 10 went through in 2011. The Milwaukee school district had to deal with reduced state aid and loss of federal stimulus aid (D’Andrea, 2013). State standardized tests have been increasing. Students now have around six weeks of testing each year (Suh, 2015). The effects of No Child Left Behind and the Race to the Top initiative have left teachers with increased stress and a struggle to keep students test scores high enough. Student test scores directly affect teachers. Teachers are tied to student success and are held responsible if students fail the state standardized tests (Rose, 2015). The academic pressure teachers deal with have led to some teachers leaving the industry. It’s been proven that teachers who are measured by student test scores suffer the most and have the highest attrition rates in the United States (Richwine & Biggs, 2012). Teachers are also at risk of reduced compensation if student test scores are below average (Suh, 2015). Teacher compensation has been an issue in the past and today. The 1990s saw a similar teacher shortage. Teacher compensation was low and attrition rates were high (Gonzalez, Brown, & Slate, 2008). A concern of teachers is that many of them work outside of the school, on holidays, and weekends and aren’t getting paid for their time. Also, teachers are being forced to do extra activities while in the school that isn’t paid. Many teachers buy classroom materials out-of-pocket for their students every year. This expense isn’t reimbursed (Richwine & Biggs, 2012). Teachers believe that their salaries are too low for the hours they work (Gonzalez, Brown, & Slate, 2008). The recommendations of this report include providing teachers with financial support, taking advantage of programs that assist teachers and keeping the programs running, creating opportunities for teachers who’ve been in the industry for extended periods of time, and opening loan forgiveness programs and scholarships. The modifications should be carefully considered by current school administration and state government officials to help solve the current teacher shortage in the United States.